These were all taken last summer in beautiful Brookside Garden in Silver Spring, MD. 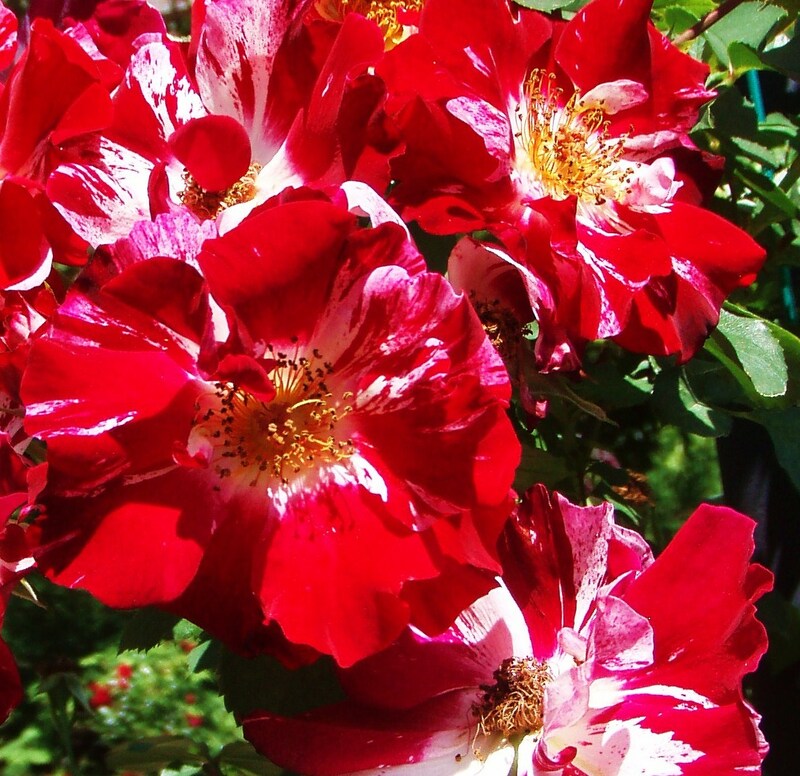 I see these flowers, crimson red and luscious, and I anxiously await the arrival of summer! Enjoy. 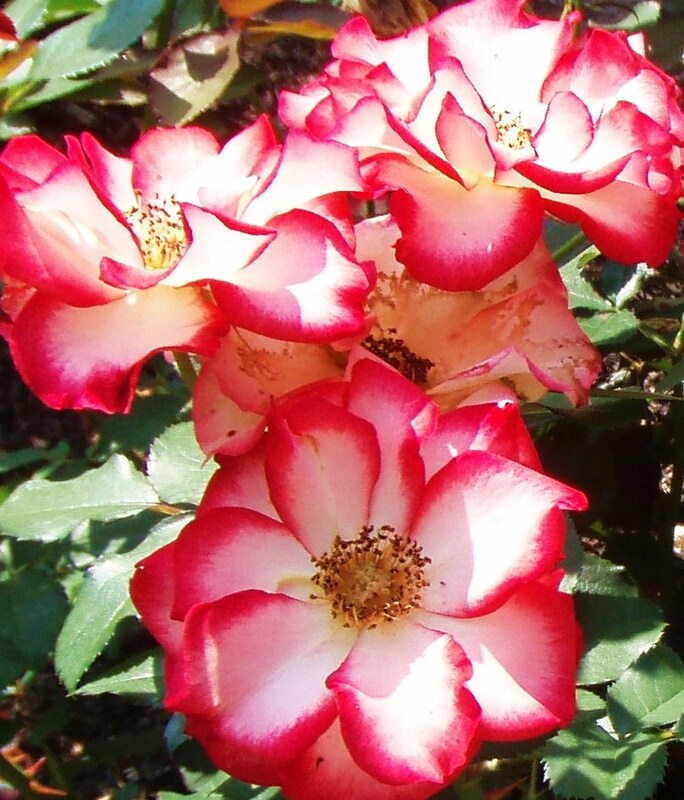 Nice flowers – I like the red edges to the rose petals. Thank you Doris. I appreciate you dropping by and taking time to leave a comment. Have a great weekend! they are indeed very summery! Hi Cecelia, these are very nice shots of flowers. Too bad that you now live too far away from the garden to visit it regularly. I hope that on the occasions that you do get to visit this garden that you find more nice flowers to photograph. Thank you, Ramon. I do hope to visit occassionally. It has been my experience that where ever we live, we usually find a “special” place to take walks, unwind, enjoyh the beauty. I’m sure we will find such a place again, although I doubt that it will have the gardens that Brookside does. thanks for stopping by, Tammy. Glad you like the roses. Thank you! 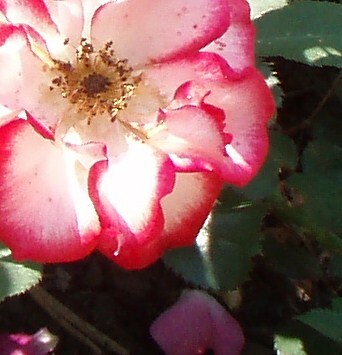 I love flowers of all kinds and hope someday to have a yard that I can fill with all variations. Delicate petals. I could float them in a vase on the centre table. I can imagine the fragrance. Thanks for sharing. Glad you enjoy them, and yes, they were quite fragrant as I recall. your sky-diving shot is also a wonderful tribute to the topic RED! Thanks for noticing! I posted that before the challenge was issued, but it works! Congratulations on your 100th post! … I just reached that milestone a few months ago and like you, I never dreamed where this endeavor would take me. Thanks for stopping by. Belated congrats on your 100th post. Blogging is truly opening up doors and to all sorts of possibilities! Continued success to you. 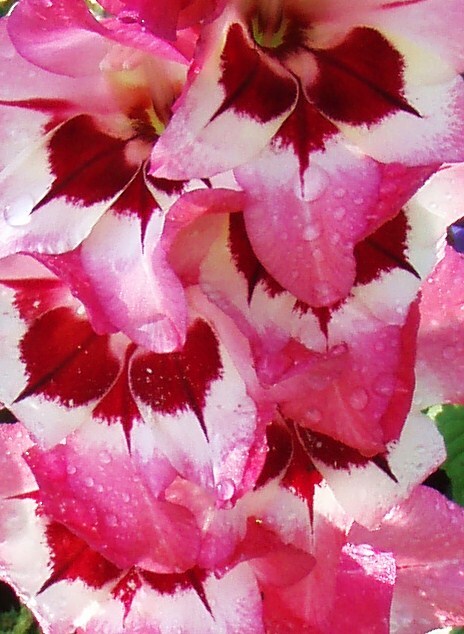 These are lovely…and such brilliant shades of red too. I liked the last picture the best. You have great report with flowers, Cecilia. Of course I meant rapport!!!!! !